On Saturday I got the chance to get my hair cut at Tai Hair & Beauty, one of Hove's oldest and leading salons. I was excited about the opportunity as I very rarely visit the hairdressers, usually about 3 times a year as I don't dye my hair nor do I have a very complex cut so it requires very little maintenance. My hair does however get very dry at the ends and can quickly turn into a bush like mass of knots. Just look at it at the above picture, its crying out for a cut! What I loved most about the salon was the natural theme it had throughout. The salon is decorated with lots of wood, plants and plant inspired wall motifs, including a moustache tree. It instantly made it feel more homelier and relaxing than most salons I've previously been to. I am a big fan of the au'naturel look with beauty and hair, so the organic interior made me feel that I was going to get the subtle look I was after. Everyone was very welcoming and lovely, and very smartly dressed. Throughout my appointment I was admiring everyones hair as they all had very soft looking, bouncy locks in beautifully rich, natural colours. It made me feel very relaxed that they really honored the "natural" look. My hairdresser Emma was very enthusiastic and clearly knew a lot about hairdressing, as well as how to deal with my tangled mass of locks. Emma clearly knew the look I was after and really understood how to achieve a natural, wavy look without overloading my hair with products or getting out the straightening irons. 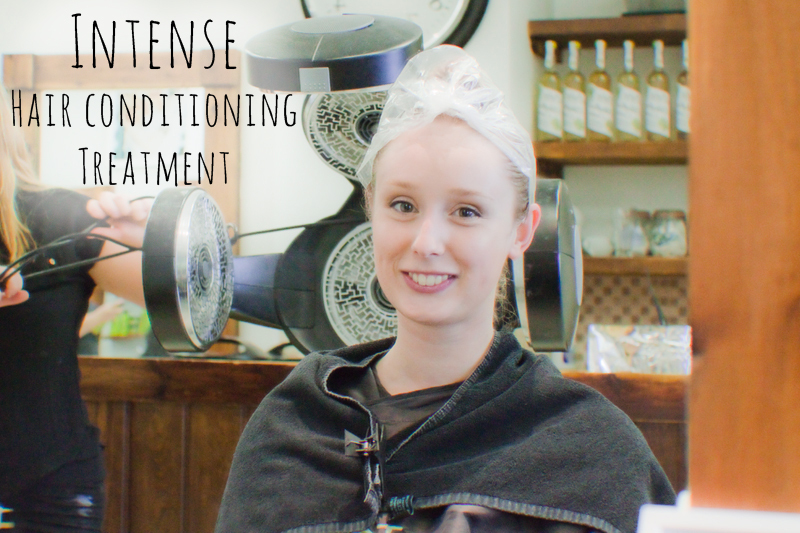 Before I had my hair cut I had an intense treatment, which is a deep conditioning treatment that has to have heat applied to it in order for it to open up and set into the hair and scalp. I had never had one of those before so was unsure what to expect. The results left my hair noticeably softer and oddly I thought it made my hair look a little blonder too. It probably just helped the hair reflect better which is why I think it now looks a little blonder. I am so impressed with the results! Usually when I get my hair cut like this my hair looks exactly the same as when I entered the salon, but this time my hair feels so much noticeably thicker. Seriously, if you have long fine hair like me, want to grow it but the ends are feeling a little dry, definitely get them cut. 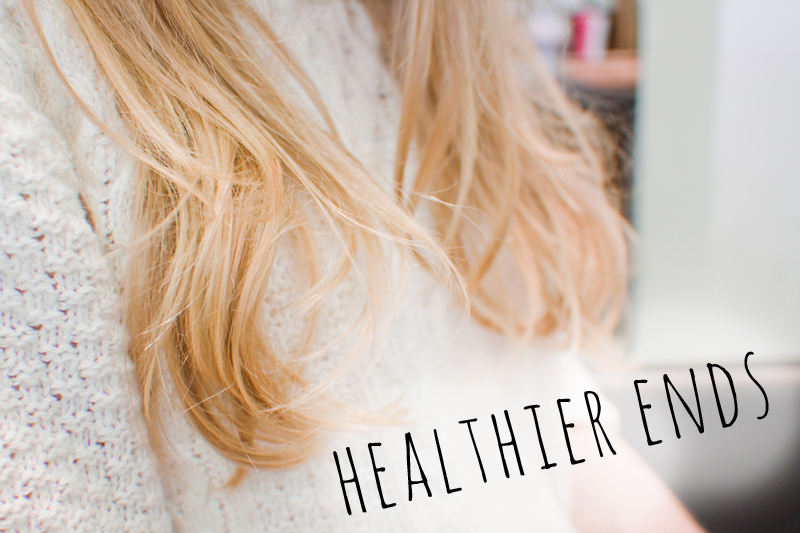 Your hair may be only a little noticeably shorter but it will feel so much nicer and healthier than before. Above you can see the end of my hair after the cut. They didn't require much styling to end up this way and have also had some sea salt spray. Oh, little tip! Did you know that the best way to apply sea salt spray is to spray on just a little from a distance onto dry hair and then blow dry it to set it in? I didn't but I know now thanks to Emma. Usually I just spray it on wet hair and it goes a bit crispy, not a good look! Above you can see Emma used KMS California products used to achieve the natural, soft look. 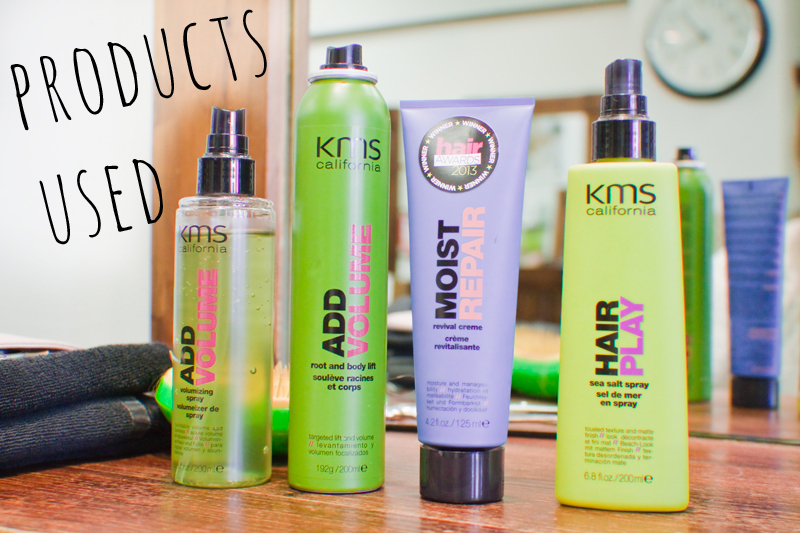 All of these products were used sparingly on my fine hair and smell really good too (don't all hairdressing products?). 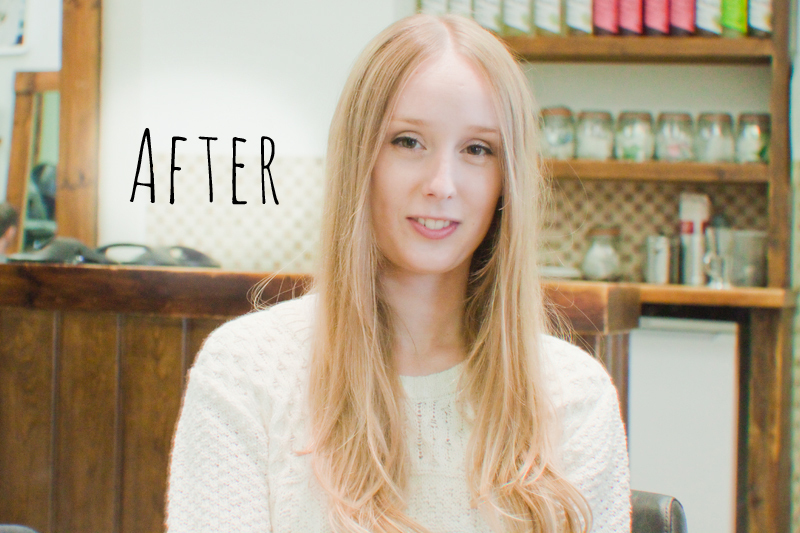 I left with lovely, bouncy, silky feeling hair, that's never felt more healthier. Thanks so much to Emma and the team at Tai Hair & Beauty for my cut. 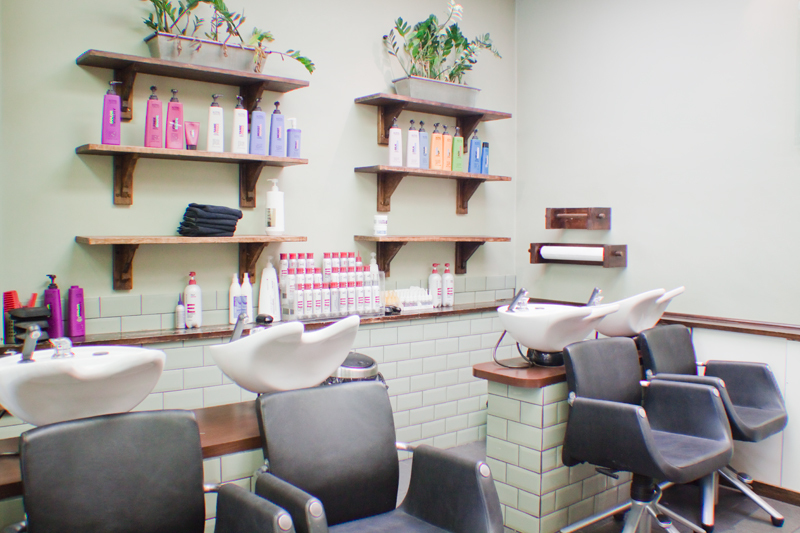 They also do a great range of beauty treatments, from massages to manicures, so if you're over Hove way you should definitely pop in! 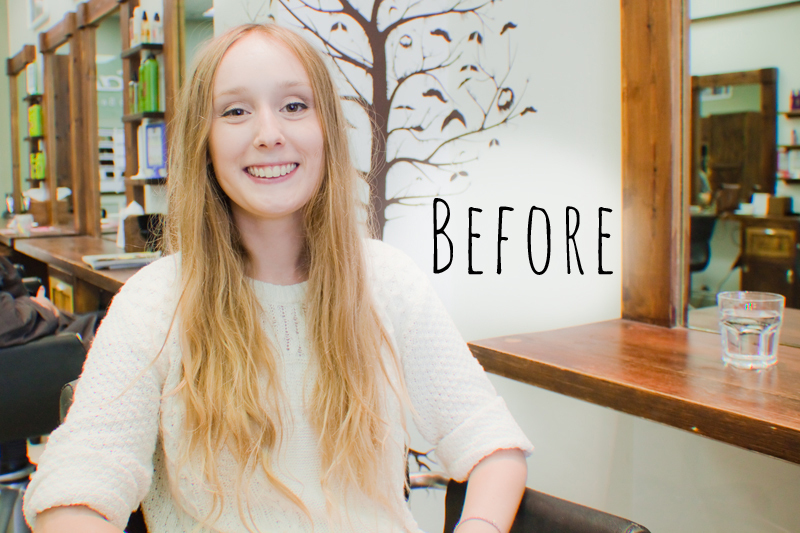 You do look blonder in the after photo, it's pretty impressive! Me too! I have had so many dye problems at hairdressers, usually over not getting the right shade of blonde and it resulting in looking too yellowy. Now I don't dye my hair (haven't for about 4 years) and it is in so much better condition. Oh wow it looks so much healthier, but still so long. If not actually longer as its so much thicker. I hate hairdressers though for hair cutting. I have serious trust issues with them! My hair is actually in pretty good condition considering I dye it a lot! I love my hair being megaaa platinumy blonde. You haven't dyed your hair in 4 years?? Your natural colour is amazing!!! WOW! Your hair looks fantastic! Such an improvement and you know the treatment worked when your before and after photos look completely different! 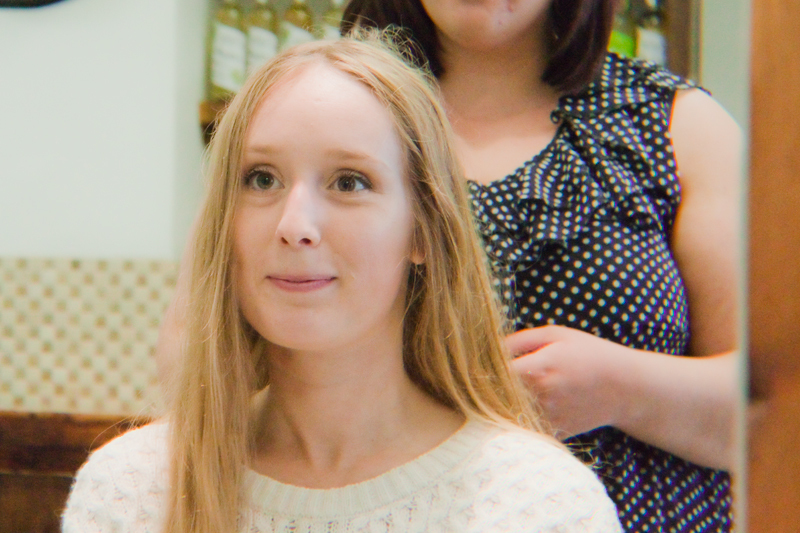 I had my hair done using the exact same KMS products recently, too and was very happy with the result. Your hair is really beautiful! This sounds good & your hair's improved so much! Love your blog, will follow you now! Wow what a difference! You look stunning doll.